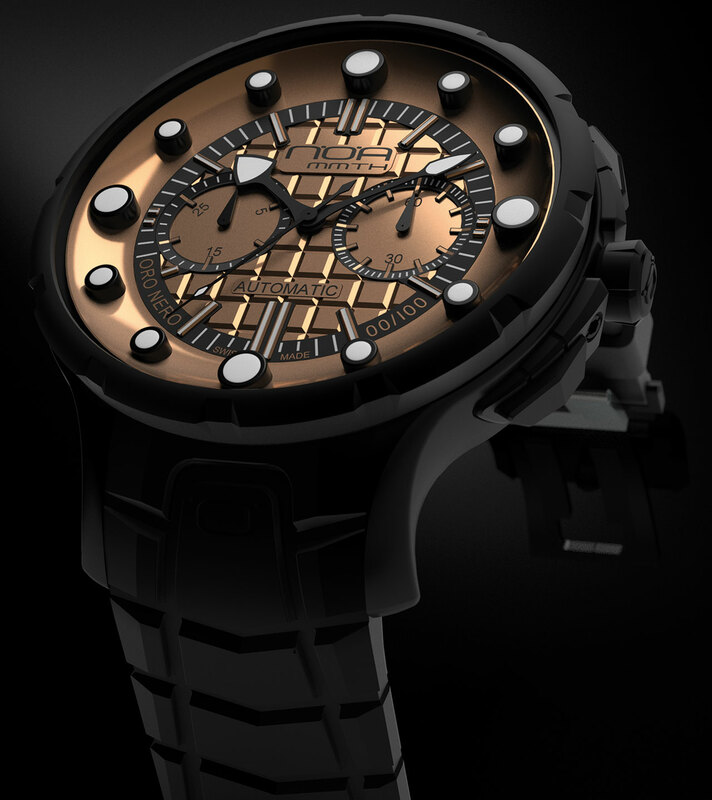 This year, the Mammoth collection welcomes a highly exclusive 100-piece limited series named Oro Nero. The “oro” part of the name refers to the pink gold dial featuring a centre adorned with a delightful “chocolate-bar” type guilloché motif, as well as the pink gold inner bezel ring bearing the brand’s distinctive round hour-markers. Meanwhile the adjective “nero” denotes the dominant matt black shade of the case, crown, pushers and strap which creates a spectacular contrast with the dial.